We are pleased to announce the expansion of our sister company, Hunt Optics & Imaging, as the exclusive Olympus Biological Microscope Dealer into the territories of South Carolina, Arkansas and Memphis, TN. B&B Microscopes, Ltd., along with our sister company, Hunt Optics & Imaging, have been an Olympus dealer for over 37 years and now service 12 states with representatives locally based to help meet your needs and to support your products. Please do not hesitate to contact us with any questions about this update, requests for demonstrations, quotes or issues. Please contact Main.Office@bbmicro.com or call us at 1-800-433-1749. The FluoView� FVMPE-RS is a multiphoton imaging system dedicated to high speed physiology and brain mapping applications. 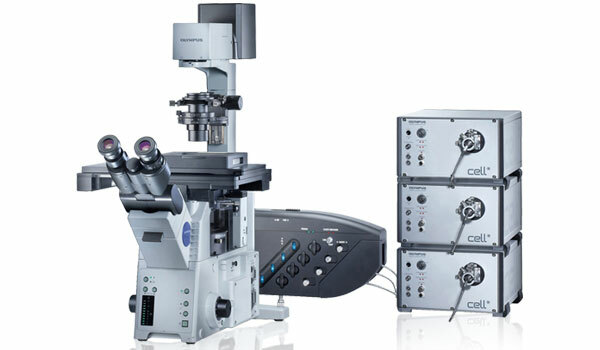 With both resonance and high speed multipoint mapping, the FVMPE-RS allows you to capture high speed full frame images and simultaneously stimulate for live optogenetic brain mapping. The dedicated MPE optics Deep Focus Mode and automated alignment ensure precise reproducible images to capture and stimulate brain physiology. 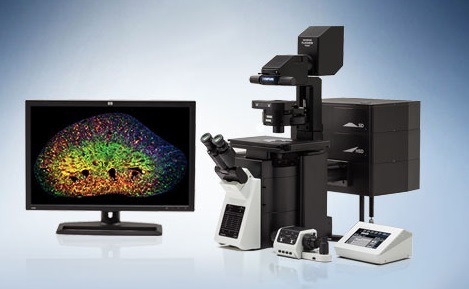 Olympus, the world leader in objective-based TIRF microscopy, announces another significant leap forward in multicolor TIRF. 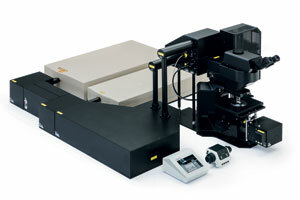 The Olympus cell^TIRF illuminator offers four motorized channels for simultaneous image capture. Intuitive software control of TIRF parameters allows instant setting and confirmation of TIRF angle and seamless transition back and forth to widefield fluorescence. With the cell^TIRF illuminator, each laser wavelength is optimally focused and each angle is individually set, allowing different wavelengths to have the same penetration depth. Users can preset calculated penetration depths for all lasers with a single mouse click; the system will individually adjust each laser�s angle to simultaneously capture TIRF information from all channels. © 2008 B&B Microscopes Ltd.